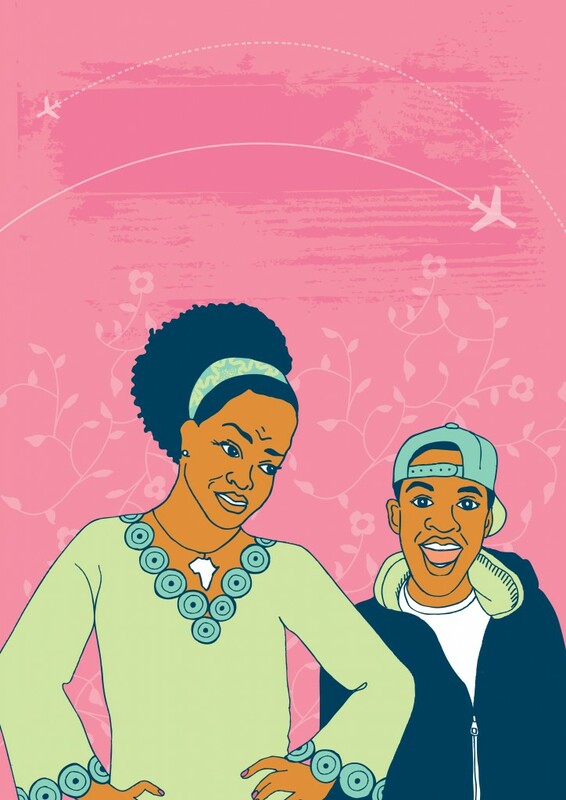 Ade Solanke’s potent new play, Pandora’s Box is described as a lively and compelling examination of loyalty, love and betrayal that reveals the heartbreak behind the difficult choices some parents must make – and the price their children pay. In her own words, Ade Solanke and why she is into theatre that addresses society and how we live. Ade Solanke: I love stories and storytelling. I’m lucky to have been involved in writing in some way or another all of my working life. I was a journalist, an arts reviewer, for several years before I started writing scripts and plays. Telling stories, whether it’s non-fiction or fiction, is so much fun: finding the pulse and life of a story, selecting what to include, what to leave out, steering a reader or listener or spectator in one direction, then surprising them, making them laugh and cry … I love the mental effort it demands. It’s the best job in the world! Belinda: What’s the inspiration behind Pandora’s Box? Ade Solanke: It’s from a series I’ve written called the SOS plays, as in Save Our Sons. Many are doing well, many are not. How do we help them? I’m also generally interested in parent-child stories, and relationships in the family are a good microcosm of all relationships in life. In Pandora’s Box I’m exploring how we raise African-heritage children in Europe and in Africa. I have a friend whose British-born son was getting into trouble in the UK. He was very good friends with my son so we were all perplexed at the direction he was going in. She was at her wits end! He was sent to Nigeria. Two years later he came back transformed. He’s now a model student. What did he get there that he wasn’t getting here? And did the ends justify the means used to turn him around? Belinda: This is your first full stage production how would you describe and judge your progressions as a playwright given the history and amount of work behind Pandora’s Box? Ade Solanke: It’s been up and down, but fortunately we’re ending on up! That’s what matters. Pandora’s Box has had quite a journey! But I’ve learned some valuable lessons along the way, mainly about the importance of having the right creative team. I have a fantastic director and brilliant producer now and, like last year, we have the most amazing cast. Sorry to gush! But I am really proud of how the work has shaped up! In rehearsals, I kept thinking, ‘gosh, did I write that?’ The actors put so much more into our humble lines than we writers could ever have imagined. I think our audiences will have a really great time. Many people have been waiting for ages to see this show. I’m so blessed and grateful to have their support and loyalty after the hiccups last year. They won’t be disappointed. Even though we’re exploring a serious subject, we treat it with humour. Belinda: Are you a full time writer or is writing a passion you do on the side and hold a full time job? Ade Solanke: I am a full time writer – and now producer! I’m very fortunate that I’m producing the show through my company, Spora Stories. Jon Harris, my intrepid co-producer and I, have put this show together. It’s such hard work, but a good learning curve for me. I have so much respect for producers now! Belinda: As a playwright, how you describe your writing voice/style? Ade Solanke: Hmmn. Lively, vibrant, fun. I hope! I want my audience to have a good time, be stimulated and engrossed in characters wrestling with issues that matter. I’d hate to be what African-Americans call, ‘trifling,’ you know what I mean? I hope I write about things that matter in a way that entertains. The Guardian described me as “breathtakingly candid – another enjoyable female presence,” which I like! Breathtaking is good, right? Belinda: Pandora Box explores a narrative which brings parenting into perspective from the Nigerian/African sensibility. What’s the picture of parenting from Nigerian/African culture that you want to get across in your play and to your audience? Ade Solanke: That what we call love in the West is called duty in Nigeria. Parents may not be as ‘touchy-feely’ but the love is so strong. The value attached to having children is intense. But the idea of a child’s reciprocal duties and responsibilities to his/her parents is equally strong; much more is expected from children than in European families. There is love and great expectations. Belinda: The way Pandora’s Box, has been described instantly registers a young man who is a source of worry for his mother. And a mother who is equally worried about her son among other challenges she has to deal with. What’s interesting is that line about ‘strict boarding school’ in Nigeria used to describe your play. What’s the story about education and way of life in that setting that you want to explore through your play? Ade Solanke: I’ve always thought of education as preparation for life. So I’m interested in how the heavier discipline in Nigerian culture (and schools) prepares young people for life. Many African parents lament what they see as laxity in child-rearing in the West. They want more discipline. But is it good that to secure discipline by beating children? Corporal punishment is still widely practiced in Africa and the Caribbean. In fact, one of the inspirations for the play was an article about four years ago about taking Black British kids back to Africa. It was entitled something like ‘African cane cures wayward children.’ But is it just caning that gets them on the straight and narrow? Isn’t it also a sense of culture and identity, a sense of self? Belinda: There was a news story last year about a Nigerian mother who was jailed for eight months for sending her son back to Nigeria because she disapproved of his lifestyle, what went through your mind when that story was in the news headlines, when you were also dealing with a similar subject in your play? Ade Solanke: Life imitating art! It was quite shocking. I read a little about the story and realized he and his friends had apparently hatched an elaborate plan to get him back to the UK in the event his parents resorted to ‘transportation.’ Wow! These kids! Belinda: What’s the story that you want to tell from that point of view as far as heritage, identity and legacy is concerned? Ade Solanke: I was born and raised here in the UK and have always been proud of being both Nigerian and British. I think some of the disaffection that we’re seeing in the generation after mine stems from a disconnect from their African heritage. They don’t seem to want to embrace the African side of themselves. Africa is still largely seen as bad – so they want to distance themselves. But if Africa is bad, then they are bad too, aren’t they? If they are bad, and don’t love and respect themselves, they can’t love and respect anyone else, can they? I wonder if more self-love would change how some young people behave? I watched a group of kids go mad to a Rihanna song at Carnival last year and it made me want to cry, frankly. They seemed so lost, easily led or misled. 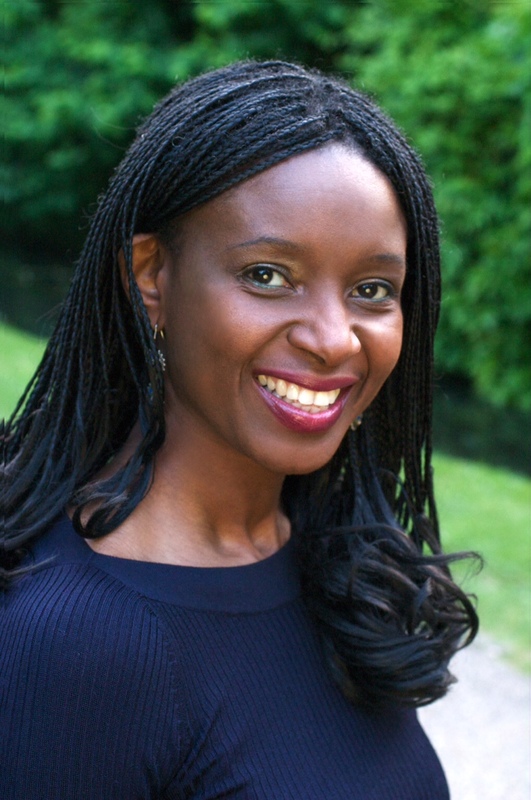 Belinda: Why is it important to hold a mirror up to these issues (parenting, family, love, relationships, identity, heritage and legacy) from a specific sensibility, which in this case is Nigerian in a multicultural society like Britain today and are you comfortable doing that through your work/writing? Ade Solanke: I think they’re all fascinating topics to treat dramatically. I’m into theatre that addresses society and how we live now. I personally think that’s what theatre should do, as well as entertain! I love family dramas. Belinda: What are the points of discussion/topics about life that you want your play to ignite in the audience and what kind of emotions about family and relationships and the challenges of being a parent, do you hope this play evokes in those who come along to see it? Ade Solanke: We’ve had a few post-show discussions about the play and they have been electric. The play really provokes discussion. Is what the mother does right? Should black parents stay and fight in the UK? Should a child be made to change schools (or continents) against their will? Are parents the only ones who have the right to decide such matters? White audiences have responded to these issues too: everyone’s been a child and faced being made to do something they don’t want to do by their parents. I’m glad about that. Pandora’s Box is culturally specific, but universal. Ade Solanke is a playwright and screenwriter. Her work has been performed in two leading festivals of contemporary playwriting: Tiata Fahodzi’s Tiata Delights at the Almeida, and Talawa’s Unzipped at the Young Vic. Her writing credits include for radio the award-winning BBC radio drama Westway and work on Radio 4. Solanke won Best Playwright 2011 at The African Film Awards. She is currently Writer-in-Residence at Goldsmiths College Pinter Centre. Pandora’s Box open today at The Arcola Theatre Dalston. This entry was posted on Wednesday, May 9th, 2012 at 6:01 am	and is filed under Africa, African Diaspora, Art and Culture, Black Britain, Interviews, Journalism, Nigeria, People, Theatre Interviews. You can follow any responses to this entry through the RSS 2.0 feed. You can leave a response, or trackback from your own site.